Jean Frenette was born in Montreal, Canada in 1961. 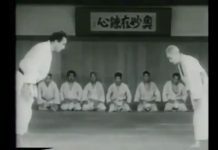 At the age of 6, he began studying judo and continued to study until he was 8. 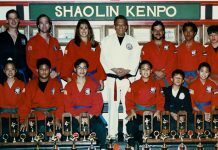 When he was 10, Jean began to study Sanku-kai karate under Maximin Mazalparim and earned his black belt at the age of 16. 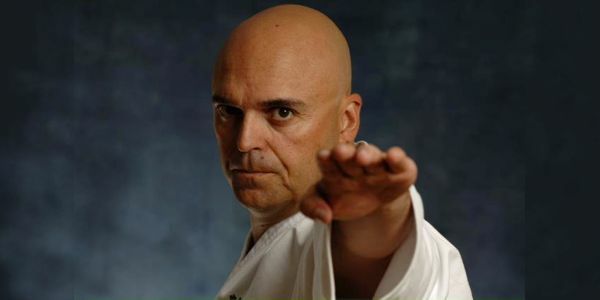 As a high school student, Frenette began teaching karate after school and in 1978, at the age of 17 he opened his own dojo in Boucherville, Montreal and called it Club Sanku-do. His dojo is still operating. In his teens, Frenette was an avid competitor. He won many tournaments, both local and national titles in Canada. 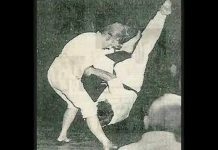 Jean was a 10 time kata championin Canada and twice he was the Canadian champion in sparring. He also competed in Europe and in the United States where he won the U.S. Top 10 Nationals and the Boston Nationals. He won the 1st Bermuda Invitational and in 1982 he won the WAKO World Championships in Germany, WAKO in Italy in 1988 and WAKO in England in 1989. 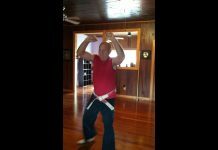 This Goju-Ryu karateka stylist was one of the most visible martial artists in the world drawing thousands of people to watch his demonstrations and to see him compete. He had a very theatrical style (pre-XMA) and people loved his fantastic kicks. He was a traditionalist, but added great flair to his performances. 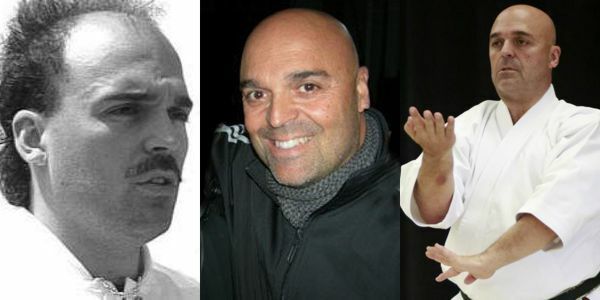 French speaking, Frenette was welcomed with open arms in France, and his Sanku-do International Karate-do Organization was very large there. 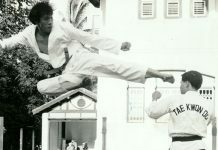 He graced the covers of every major martial arts magazine and in 1977 he began doing karate exhibitions on television in Montreal. 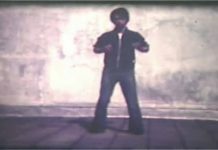 After becoming involved in fight sequences in a couple of music videos in 1981, he decided that he wanted more work in the industry. He started with stunt work in 1981 in ABC’s made for television movie, In Like Flint which was filmed in Montreal. At this time, Toronto was Canada’s film capital, and Frenette began to travel there to learn other areas of stuntwork like fire gags and stunt driving. He has worked on many films and television shows including Police Academy 3 and 4, Highlander, The Score, and The Heist. He worked with stars like Gene ackman, Nicole Kidman, rober Di Niro and Anthony Hopkins. On the Set and Action Stunts are two stunt groups that are affiliated with Frenette in Montreal and he owns the largest stunt rental equipment in Quebec, Canada. Frenette has written 2 stretching books for Ohara Publications, Jean Frenette’s Complete Guide to Stretching, and Beyond Stretching and he has written five other books in French. Panther video had produced nine videos of Frenette. He also directed a sci-fi action film and he directed a National Geographic special, Tracing the Roots of Karate, which was to air in 2003. Recently he coordinated the stunts for such movies as Eye of the Beholder starring Ashley Judd, and for Martian Scorsese’ The Aviator, starring Leo DiCaprio, Kate Beckinsdale, Jude law and others.